Agreed with the conservatives that the federal government had exceeded its interstate commerce power. But sided with the liberals that the law could--and should--be viewed as valid under the taxing power. A huge legal victory for conservatives by restraining the commerce power, which they dread. A huge political one for the liberals by upholding the law, albeit on a very questionable legal basis. This was not the first time Chief Justice John Roberts departed, at least partially, from the conservative wing of his Court. To be sure, Roberts has been a fairly consistent member of that wing. But since his appointment in 2005, he has sometimes joined the liberal Justices and taken issue with the conservatives. Sometimes he has voted with the conservative Justices, but taken a less conservative position. Sometimes he has split the difference between the Court's two wings. Roberts hasn't done this too frequently. Not regularly. But not rarely either. This moderating aspect of Roberts' jurisprudence, this occasional splitting of differences and even siding with the liberals, is one characteristic of his voting and opinions that has emerged over the years. 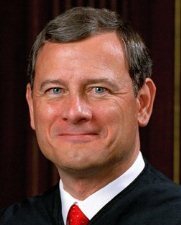 It is one of the reasons why Roberts' vote and opinion in the Obamacare case were not nearly as surprising as much of the reaction would suggest. Now before getting carried away, the point here is not to suggest that the Chief Justice has exhibited liberal leanings. Or even that his voting shows him to be a centrist. Nor does his record suggest that he has replaced Justice Kennedy as the Court's swing vote. Or even that he is becoming less conservative. But.... A close review of Roberts' record does show that he will occasionally side with the liberals. That he sometimes does reject the hard-line conservative position. And that he sometimes does take a middle view between the Court's opposing ideological camps. More than that, Roberts has done so in some ideologically charged cases. Not necessarily in the most highly partisan-charged cases. [We have examined that in previous posts.] But he has done so in cases that do have well delineated ideologically and politically opposed positions. So, the sometimes-moderate Roberts--the Roberts-in-the-Middle--has emerged in cases dealing with some ideologically and politically charged issues. Issues involving immigration, the right to counsel in criminal cases, sentencing juvenile criminals, the death penalty, strip searches, prosecuting corporate executives, and suing businesses for retaliation and for equal employment rights. We will look at several examples in the next couple of posts. They will follow shortly.